Is Big Agri Screwing with Your Health? 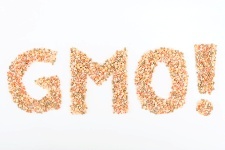 Home » General Health » The GMO Scare: Is Big Agri Out to Get Us? The ongoing debate about genetically modified (GMO) foods is this: there’s a difference between cross-breeding plants and changing the genetic make-up of a plant. Cross-breeding was something your grandfather or great-grandmother did to experiment with the quality and taste of a particular species of food. Cross-breeding between apples, for example, produced a number of new varieties meant to entice consumers. Some of these new apples also had different characteristics from established apple varieties. Some were a little more resistant to drought, while others could be stored for longer periods without spoiling. Today, this basic approach has been tinkered with extensively. The study of biotechnologies has propelled the principles of cross-breeding into a much broader field. Scientists are now able to genetically engineer seeds and plants. This involves inserting the genetic material of one plant into another. The other plant can be an entirely different species. This is done to make certain plants resistant to insects. GMO plants are also engineered to increase crop yield. Four crops in the U.S. (soy, sugar beets, corn, and canola) are now grown almost exclusively from genetically modified seeds. 90% of canola, 88% of corn, 94% of soy and 95% of sugar beet crops are now GMO foods. It’s no secret why these four foods were targeted by big agribusiness to be genetically modified. They are included in just about every processed food you can think of. The higher the yields of these insect-resistant, pesticide-treated crops, the more money agricultural companies like Monsanto stand to make. So what’s to worry about, you might be wondering—yes, some companies will make huge loads of profit but the rest of us will have more to eat. However, the world seems to operate best when checks and balances are in place. For many, there is a growing unease that all of this genetic tampering to make mega-yields and super-plants could spell trouble for humans further down the road. So far, there are no human trials that have looked at the long-term effects of eating GMO foods. Some medical experts fear that long-term consumption could lead to the development of new allergens, reproductive problems, accelerated aging, hormone disruption, and problems with the liver and kidneys. One study conducted in France compared the health of rats fed three types of GMO corn. One GMO corn was modified to be tolerant to “Roundup,” a commonly used herbicide. As a result, this corn contained residues of Roundup. The other two GMO corns were engineered to synthesize two different versions of Bt toxins. Bt toxins are biological pesticides. The researchers then performed an exhaustive list of tests on the rats and compared them to a control group. The researchers’ analysis clearly revealed new side effects associated with the consumption of the GMO corn. Negative effects were discovered in the heart, adrenal glands, spleen, kidney, and livers of the rats. Do some research and decide if you want to support the growing movement to buy non-GMO food. Many farmers are now working hard to resist the lure of lucrative crop yields and are opting instead to grow crops that have been known to be beneficial for human health for thousands of years. “GMO Facts,” The Non-GMO Project web site; http://www.nongmoproject.org/learn-more/, last accessed May 27, 2013. Strom, S., “Seeking Food Ingredients that aren’t Gene-Altered,” The New York Times web site, May 26, 2013; www.nytimes.com, last accessed May 27, 2013. Roullier, F., et al., “A comparison of the effects of three GM corn varieties on mammalian health,” Int J Biol Sci. December 2009; 5(7): 706-26.